Jason grew up in southwestern Pennsylvania, where he was raised with a deep respect for the outdoors. His love of both board sports and the ocean drew him to Cape Hatteras, North Carolina, known for its uncrowded beaches and hollow surf. Kiteboarding quickly became an extension of surfing for Jason and allowed him more time on the water during windy days. 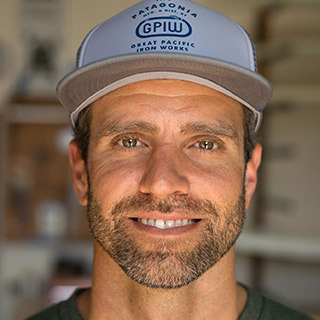 After living on Cape Hatteras for more than a decade, Jason moved across the country to Hood River, where world-class kiting takes place against the picturesque backdrop of the rivers and lakes of the Pacific Northwest, and the enchanting and raw Oregon coastline. Jason continues exploring the world in search of new and unique kite and surf destinations, while constantly working on developing, testing, and producing kiteboarding equipment.